Each month we try to give a free MultiTrack backing track away. The free track for April is the CompassionArt song So Great written by a huge team of well known songwriters including Michael W Smith, Paul Baloche, Steven Curtis Chapman, Stuart Gerrard, Israel Houghton, Tim Hughes, Graham Kendrick, Amy Park, Matt Redman, and Chris Tomlin. The CompassionArt charity was founded by Delirious? songwriter Martin Smith and his wife Anna, with the aim of generating income from works of art to assist in the relief of suffering around the world. With the free track you get the wav files for our PC/Mac MultiTrack Player PLUS files for the new iPad Player. 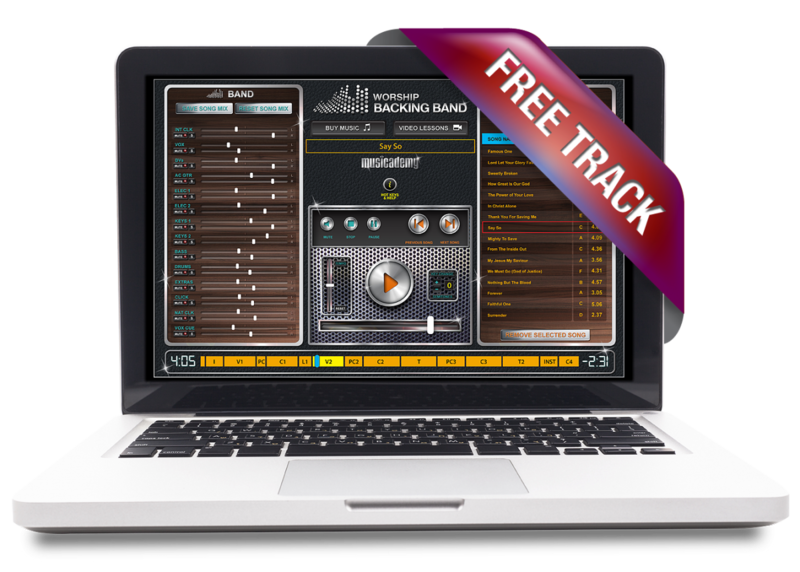 You will need a copy of Worship Backing Band's MultiTrack Player or iPad Player to play the relevant backing track. MultiTrack is the simplest and least expensive solution to get a full band sound from your worship team, even if you’ve only got a couple of musicians. When you buy our iPad MultiTrack Player you also qualify for four free MultiTracks. More info about the iPad Player here and to buy it head over to the App Store.